When you operate a trucking company in Tennessee, compliance is likely one of your biggest issues and concerns. Not only do you have to worry about specific Tennessee trucking compliance regulations issued by the Department of Transportation, but you also have to worry about Federal Motor Carrier Safety Administration (FMCSA) rules and regulations. At US Compliance Services, we provide trucking compliance consultation services in Tennessee that make your life easier. 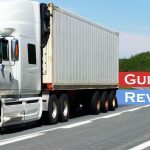 We can help ensure your company stays on top of specific Tennessee trucking compliance rules and regulations as well as federal guidelines that must be followed. The benefit to you is that you get to reach maximum productivity while avoiding fines and minimizing risk. It’s all made possible when you choose trucking compliance services in Tennessee from US Compliance Services. Efficiency is often the number-one priority for trucking fleet owners and supervisors. To remain as efficient as possible, any trucking company needs to stay up to speed on the latest and greatest industry trends and innovations. When you choose US Compliance Services for trucking compliance consultation in Tennessee, we take care of all compliance matters so you can focus on efficiency and helping your company reach its full potential. DOT Consulting Services: Department of Transportation rules and standards are extensive and relate to everything from environmental incidents to cargo safety. We help you identify common-sense solutions that help you stay in compliance while maintaining efficiency. FMSCA Services: The Federal Motor Carrier Safety Administration outlines a schedule for audits, reviews, and inspections that must be followed in order to stay within compliance. At US Compliance Services, we stay on top of all of it so that you don’t have to — including the filling out and filing of MCS-90 forms. DOT Driver File Management: You need to keep detailed records on your drivers and their qualifications in order to stay within the Department of Transportation’s guidelines. We take care of this process from start to finish, including driver registrations, work histories, road tests, medical exams, and more. IFTA Assistance: The International Fuel Task Agreement is just another regulation for you to worry about. We ensure the accurate and timely preparation and filing of these tax-related forms so you can focus on more important matters. ELD & ELOG Compliance: It’s not enough to simply fill out eLogs — they need to be correct, too. 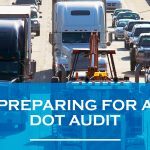 We will help you track your fleet and prepare ELD and eLog compliance forms in case you are scheduled for an audit. How do we do it? By recommending the best technology and staying on top of ever-changing government regulations. Choose US Compliance Services for Tennessee trucking compliance and you’ll find a number of benefits unlocked — including better accuracy, more transparent processes, reduced resources invested in compliance, and more. Are you ready for the best trucking compliance services in Tennessee? Contact us today to get a free consultation and to learn more about our trucking compliance assistance in Tennessee.